Maybe you’re looking for a new dentist for your family. But, as you research local dentists, you notice that there are many professional dentists out there doing various types of dental work. Discover the services typically provided by a general dentist to find out if this is the right professional for your family. A general dentist provides teeth cleaning. The dental assistant scrapes plaque off a patient’s teeth and cleans them with professional equipment. Afterward, the gums and teeth are closely examined by the dentist to evaluate their condition. In addition, a general dentist takes an x-ray of a patient’s teeth to see if there are any cavities present. Whitening is another typical service of a general dentist. This may be done with the help of a special fluid in a whitening tray. Or, some dentists use ultraviolet light to whiten patients’ teeth. Some general dentists allow patients to select from several teeth whitening options. Visit Old Bridge dentist website and you’ll learn that filling cavities is one of the most common services performed by a general dentist. If a general dentist looks at a person’s x-rays and finds cavities, they can fill the cavities there in the office. Filling a cavity involves taking the decayed portion of a tooth out and filling in the gap with special material such as porcelain, silver amalgam or composite resin. A general dentist can perform a root canal for a patient. A root canal treats a diseased tooth by removing the inflamed pulp inside the tooth. 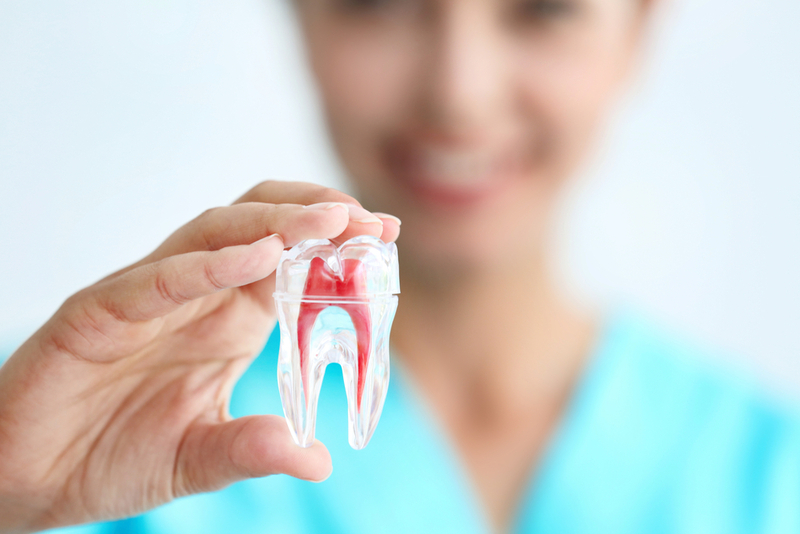 Today, root canals are usually done by a general dentist in one or two appointments. Dental implants are a favorable option for someone with missing teeth. Missing teeth are more than just unsightly. Having missing teeth can cause pain when a person eats, drinks or brushes their teeth. A general dentist can make a plan for dental implants that look as natural as real teeth. A patient who decides they want a set of dentures, can go to a general dentist for help. This professional can design the dentures to make sure they are suitable for the patient. Also, a general dentist can help patients learn how to best maintain their dentures and address any issues. A general dentist puts a dental crown on a cracked tooth or a tooth that is weak and needs more support in a patient’s mouth. Dental crowns can disguise cracked or broken teeth to improve a patient’s smile. General dentists can put a bridge in a patient’s mouth to serve as support on both sides of a missing tooth. When a replacement tooth is put into a patient’s mouth in place of the missing tooth, the bridge keeps it secure on both sides. General dentists put porcelain veneers over cracked, stained or broken teeth to improve a patient’s smile. This is a cosmetic service offered by many general dentists. Another service provided by a general dentist involves education. When a child has his or her first visit to the dentist, it’s important to educate the young patient about brushing, flossing, taking care of their gums and the importance of seeing the dentist on a regular basis. The education can contribute to lifelong healthy dental habits for a child. Lastly, if you’re looking for a dental professional who performs basic services as well as a few specialized ones, a general dentist is the best option for you and your family. Can Machine Learning Help Capture the Attention of Generation Z?